The Edumachinima Fest encourages Machimima developed in all 3D immersive environment – Second Life, Open Sim grids, World of Warcraft, Minecraft, Club Penguin – wherever you are. We also would like to encourage you do consider submitting a Machinima related session. The basic – Intro to Machinima was very well received last year. So conference participants span a range from consumer – to “brave beginner” to Machinima artist. Also in light of SOPA/PIPA in the United States and similar regulation elsewhere, we would want to encourage discussion sessions on content and media creation that could take place during VWBPE. 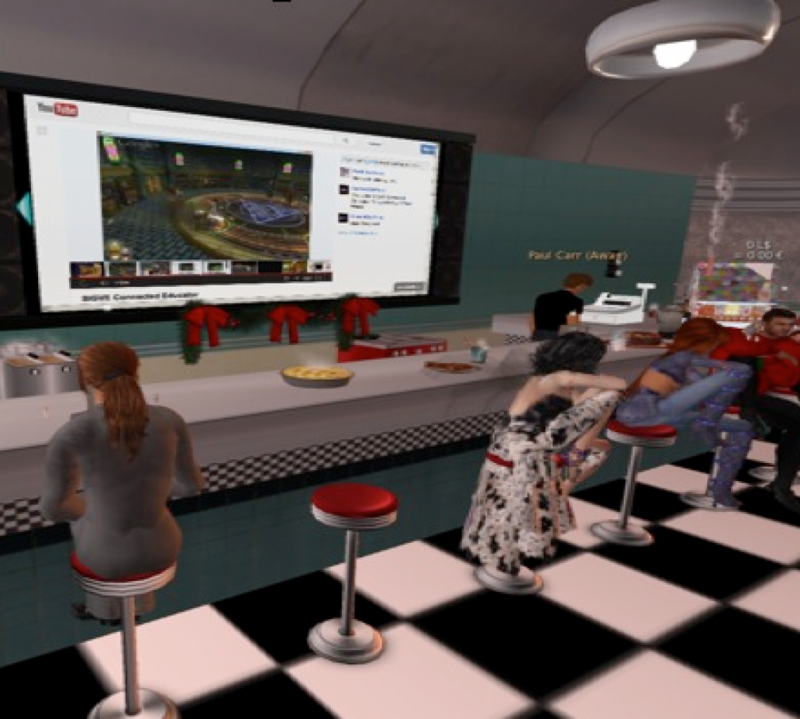 The EduMachinima Fest will be held during the VWBPE conference on Friday March 16 from 8 pm – 11 pm SLT. We will try to show as many videos as possible during that time. Our purpose in holding this fest is to celebrate what has been created and also provide an avenue for educators to view Machinima. We hope to encourage the creation of more Machinima by educators, students and the community. We also hope to help our students and educators be informed active digital citizens.